Welcome to Episode 50! This week’s conversation is with Samantha Barrett. 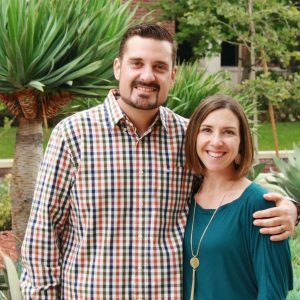 Samantha is wife of Alex Barrett, who is currently serving as the Campus Pastor of Church in the Valley Alhambra. In the summer of 2018 she and her family will be moving from Alhambra, CA to Fontana, CA where they will be starting a brand new church to reach out to the community in North Fontana. Don’t worry about what you are not. The reality of what God is asking me for is daily obedience. Just chill out, focus on today, be obedient today and pray about tomorrow. Join me next week for Episode 51!